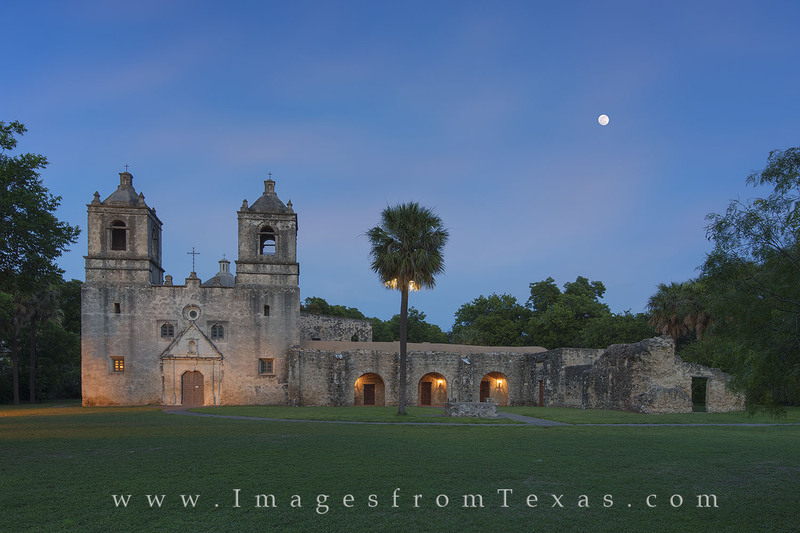 This image of Mission Concepcion, one of San Antonio's five missions that are part of the San Antonio Missions National Historic Park, shows the 1700s structure lit up in the late evening as a full moon rises in the background. Mission Concepcion is the best preserved of these old buildings and the resident priests still offer regular Sunday Mass. Photo © copyright by Rob Greebon.